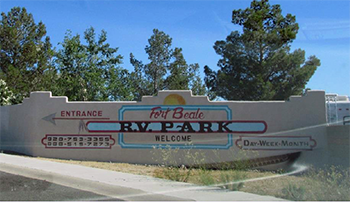 At Fort Beale RV Park, we believe that providing our patrons with convenience, customer service, and the cleanest and greatest looking park possible you’ll be back again and again. When you stay here in Kingman, we do not just want you to feel at home, we want this to BE YOUR HOME! If your needs should go beyond our park, we are conveniently located adjacent to a full service Chevron gas station, a car wash and a convenience store just across the street. We are also just one block from I-40 and Highway 93 Interchange! Our park is laid out conveniently to provide easy in, easy out pull-through spaces. Just two turns off of I-40 at exit 48 or Highway 93, you can drive into the park, be checked in and pulled in within just a few minutes. Take a look at our convenient layout. 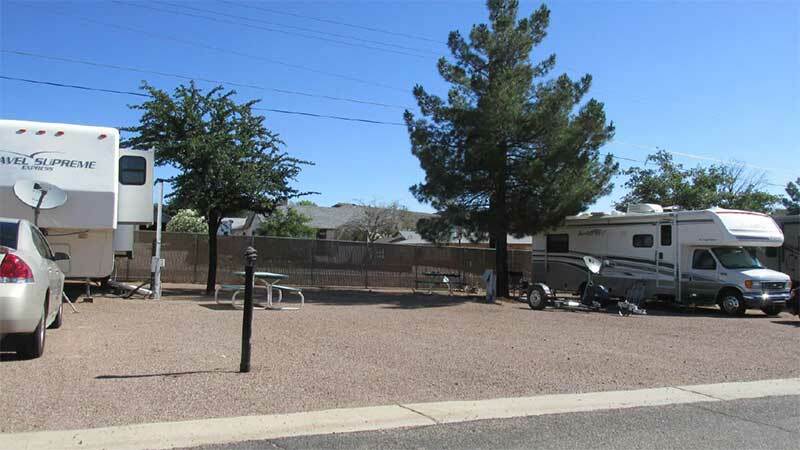 Mature shade trees are located at every space for cool, comfortable relief from warm Arizona sun. Take a refreshing swim after a long drive in our crisp, clear, private swimming pool! During the summer months we provide access to our swimming pool and outdoor lounge area daily. Dogs are not allowed in the pool area. We offer free wireless internet service for all patrons. Passwords are provided at check-in. We want you to be at home with us when you are on the road through Kingman. When you need to wind down at the end of the day we want to make sure that you have the right electrical service to support all of your electronics. This is why we provide 20/30/50 Amp service standard at no extra cost. We also have some electrical connection supplies if you need to perform standard conversions to hook up your vehicle. Our facility features restrooms for patron use only. Access is restricted by a high-quality electronic keypad and only guests are given the security code necessary to access them. Restroom facilities are cleaned daily at noon and are known as the cleanest facilities around! Pets are part of the family here at Kingman's premier RV destination! We provide a dog run to exercise your furry friends. We ask only that you adhere to a few simple rules. All dogs must be on a leash at all times when walking your pet. Please pick-up after your pet immediately. No pet is to be left unattended at any site. 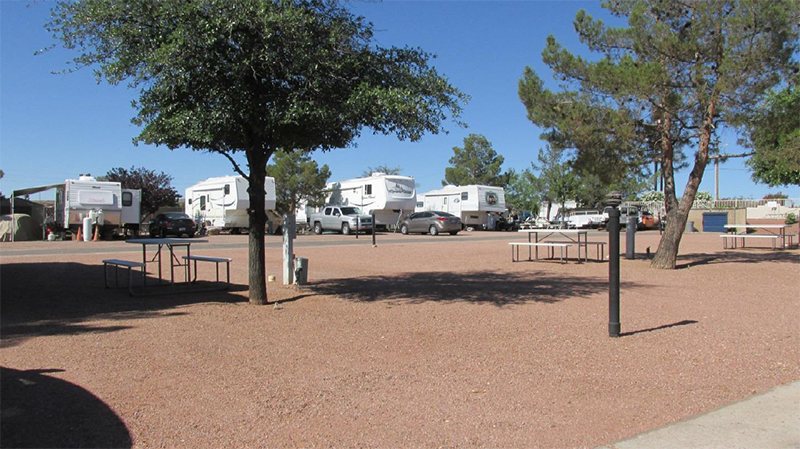 Whether you are staying overnight or planning on making Fort Beale RV Park your home for months, our laundry facility is always available, 24 hours per day, 7 days per week. City water hook-ups are provided at all spaces for your convenience. There is also a conveniently located dump station on the grounds for your use. Please note: when you hook up to the sewer there are a few simple rules to follow. For your convenience, we carry full-service propane fueling. Each Tuesday we provide propane service to your site.